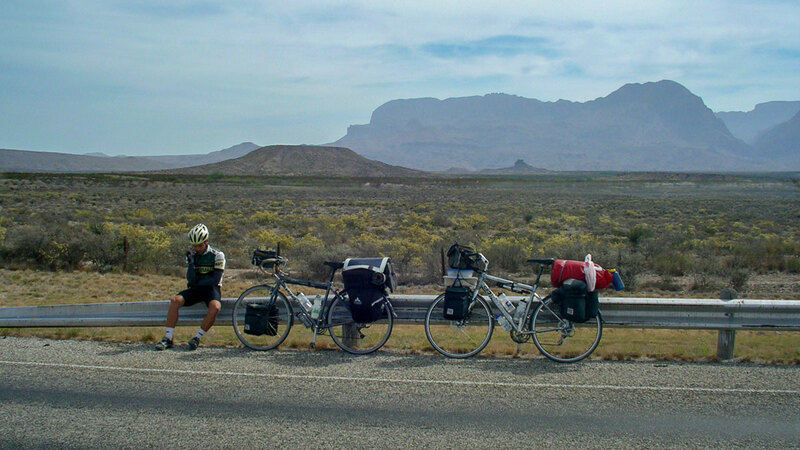 I created the first version of this website in 2004 to document my bicycle trek across the United States on the TransAmerica Trail. That summer, along with my bike, clothes, and camping gear, I carried a laptop, solar panel, and Bluetooth cell phone—a novelty at the time. My Internet connection was over the general packet radio service (GPRS), which was literally a thousand times slower than the Internet in your pocket. Every few days, I’d pull off the road and upload my writing and photos so friends and family could follow along as I rode east over the Rocky Mountains and beyond. I called it a journal because blog was still an uncommon term. I wrote it in plain HTML because blogging software was still very young, specialized technology. A second chapter was added in 2006 when I rode my bicycle across the United States again, this time along the Southern Tier route. After that tour, I took the website down, and it stayed offline for years. I played with the idea of reviving it several times, and in 2019, I finally did. Here it is. I rebuilt Two Riders using a CMS called Kirby. True to its original form, the design is kept minimal. The writing is brief and the photos are small—technical constraints at the time of writing. I’d like to thank everyone who has visited this journal over the years, and especially those of you who encouraged me to bring it back from the dead. © 2004–2019 Mickey Deagle. All rights reserved.